The mendelson business integration is a flexible EDI and EAI solution for your highest requirements. 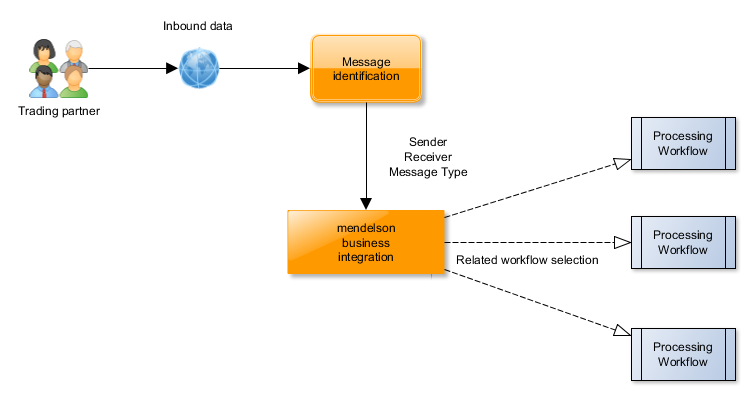 The mendelson business integration (mbi) is a flexible EDI/EAI (Enterprise Application Integration) product line for an enterprise wide and internal enterprise integration of your business procedures. With the help of newest technologies mbi enables you to use all advantages of Business-to-Business (B2B) scenarios profitably. mbi is implemented completely in Java and XML. The modular architecture and the workflow concept of mbi make a high flexibility at the design of your business models possible. The integrated mendelson converter is based on the standardized XSLT technology and enables you to transform messages for all Industry Standards in the Classic EDI sector, all XML Internet Standards and any desired Inhouse Formats, quick and easy. Predefined templates for business scenarios, mappings for conversions, standardized migration and integration solutions for your actual products minimize the introduction expenditures. "With the mendelson mbi Software it was possible for us to change our old EDI system in very short time. And this for a great price." "The mendelson business integration (mbi) is a great product family for tbi-requirements (total business integration) of the customers. At area of efficience and features it's comparable to the market leader. At price is the software unbeatable." "The mendelson business integration is a great EDI solution. The administration and usage of the software is worth seeing and trend setting." 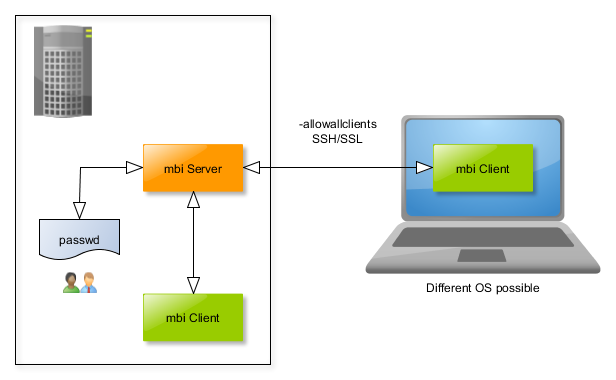 mbi presents a client / server solution. The client-server communication is platform independent - means the server could run on a Linux system while the client (UI) runs on a Windows system. The base functionality of the server enables the handling of the processes and the logging. Processes are defined in special workflow language. These workflows consist of Java module calls and internal commands for the control of procedure and processing. Java modules for the transformation, message processing, process automation and connectors are included in the basis system. The client includes functionality for the process monitoring and a Development Framework to test workflows and mappings. EDIFACT, X.12, ODETTE, VDA, TRADACOM, Etc. Please visit the for an overview about prices and packages.